On my first trip to London in 1976 I met Joe and Mick at Club Louise, but I don’t remember talking to them. 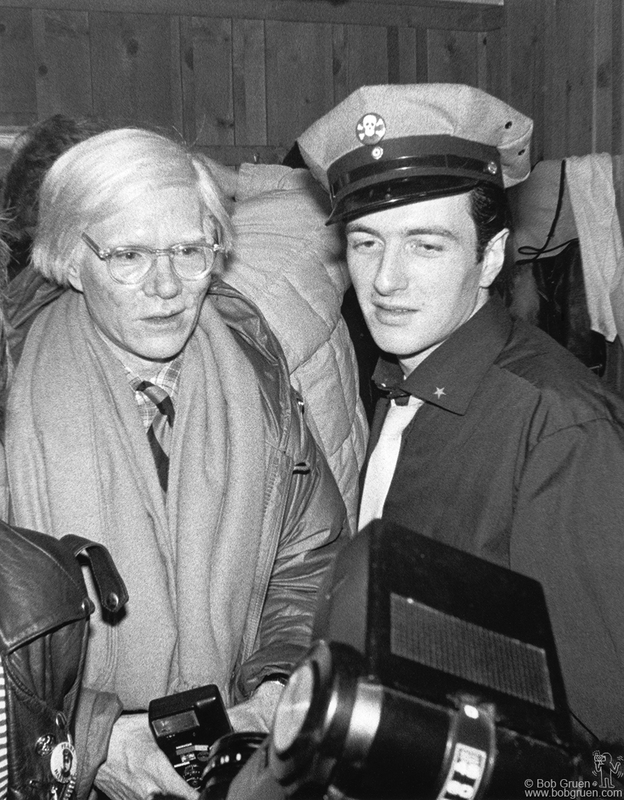 (Soo Catwoman and Marko Pironi in the background). 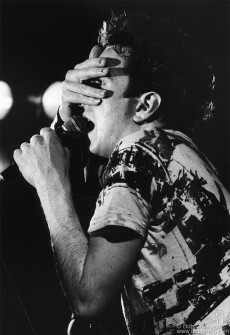 I first saw the Clash at the ICA London Nov. 1976. I went back to London in 1977 and asked Epic Records where the Clash were playing. They said the band didn’t work with them and they couldn’t help me get a pass but they told me the band was playing in Glascow so I went there. 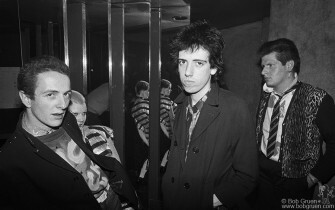 I ran into Mick and Paul as I was checking in and they set me up for the show. The day after Glasgow I saw them play at Edinburg. 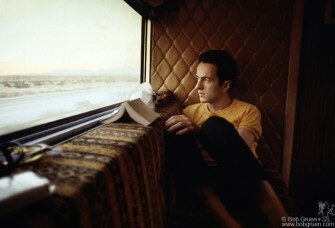 When they came to the US I was on the tour bus. 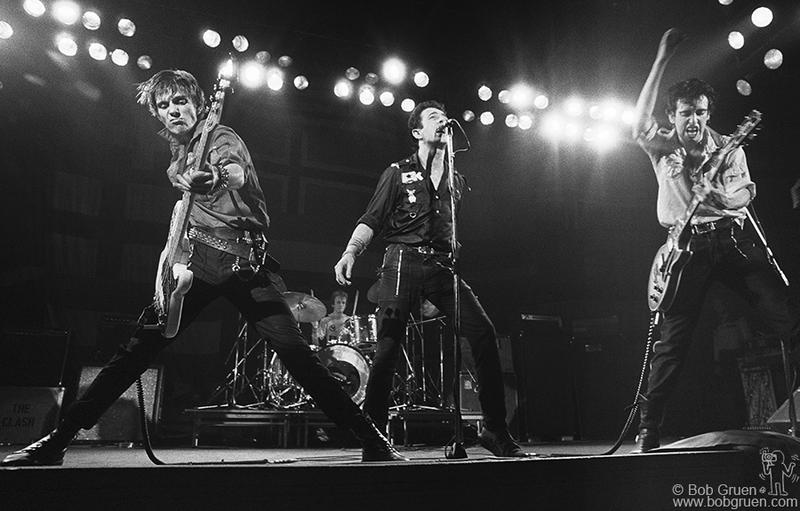 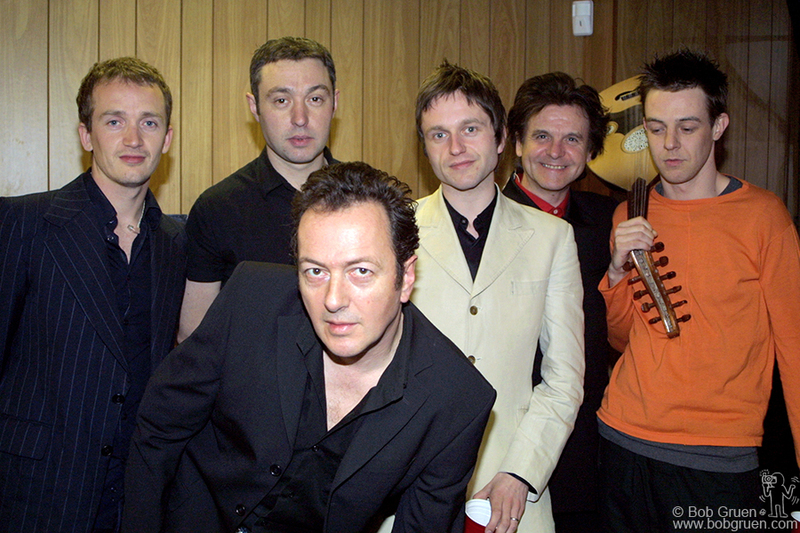 The Clash were the most powerful and meaningful band I’ve worked with. 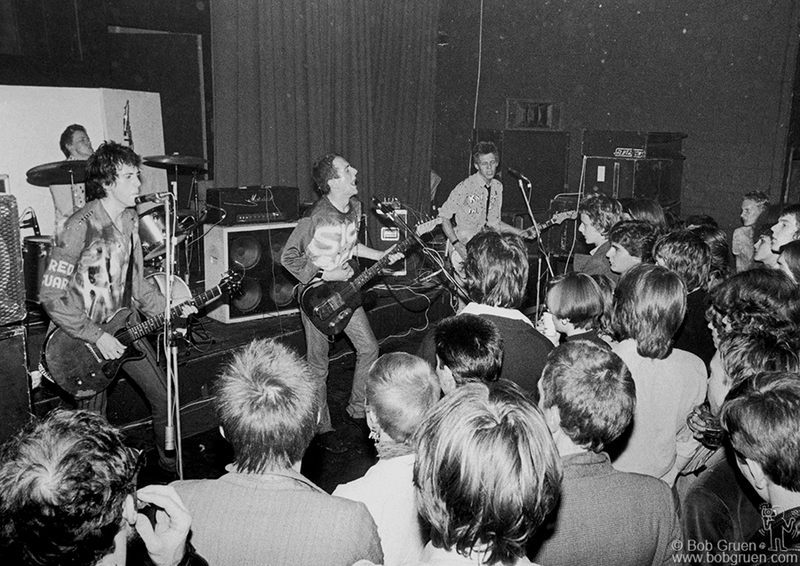 Above, live in Boston in 1979. 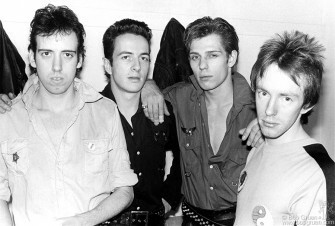 The Clash in a dressing room in Boston Feb. 1979. Andy Warhol & Joe backstage at the show in New York 1979 at the Palladium. 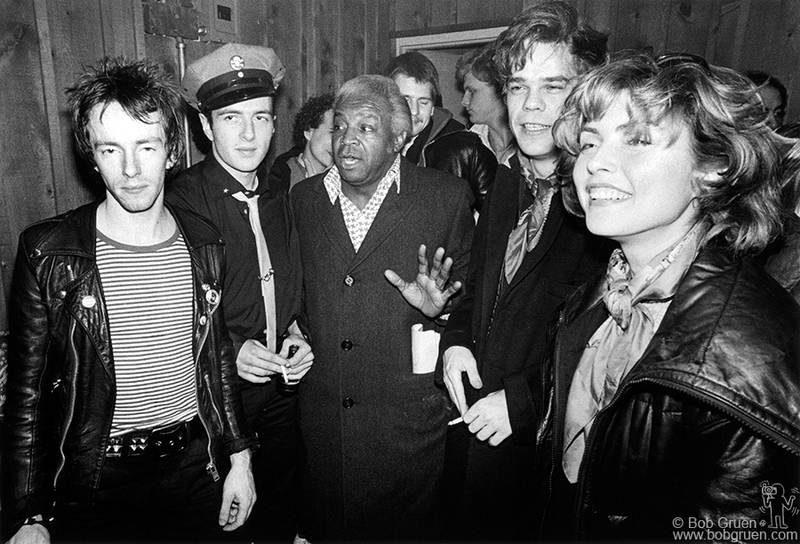 David Johansen & Debbie Harry 1979. David Johansen & Debbie Harry came to see the Clash in New York in 1979, see here with piano player Al Fields. Joe on the US tour bus 1979. 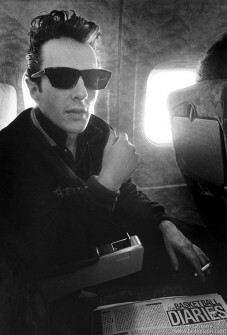 Joe on a plane on US tour in 1980. 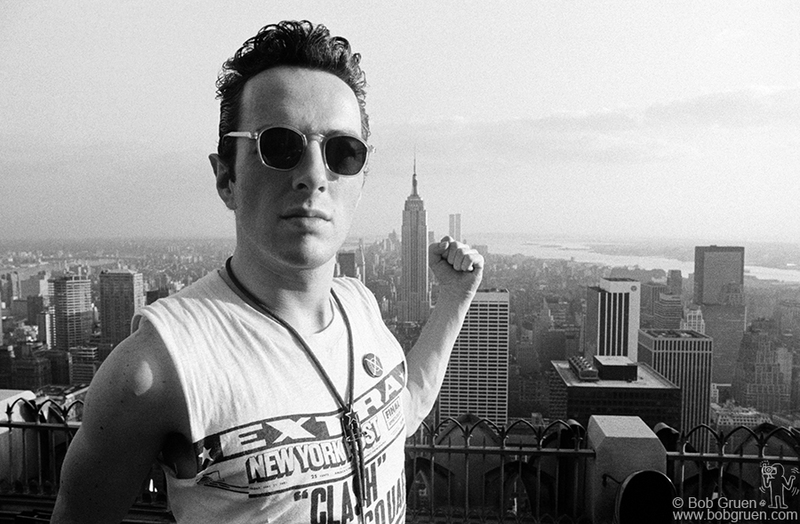 Joe on top of New York City, June 1981. 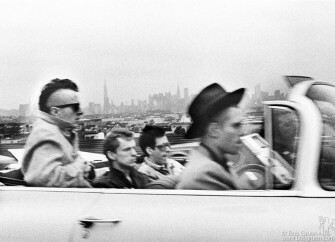 Joe and Gaby get comfortable on the back of my 1954 Buick Special in New York 1981. 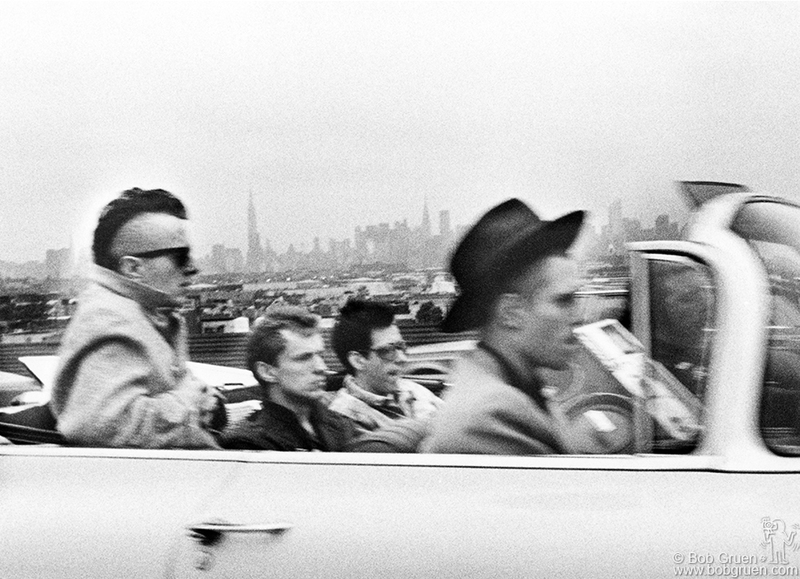 The Clash on the way to Shea Stadium 1982. 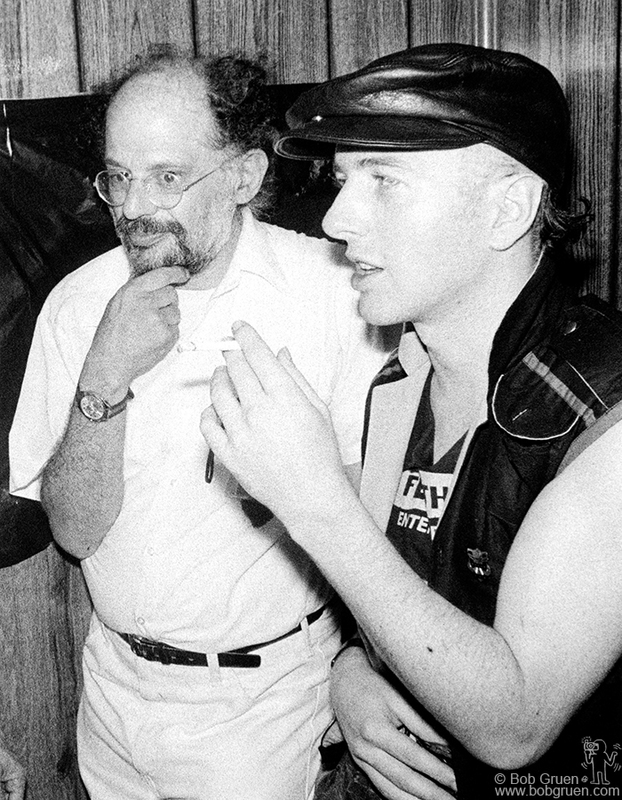 Allen Ginsberg & Joe 1982. Allen Ginsberg & Joe at Electric Ladyland Studio in New York in December 1982. 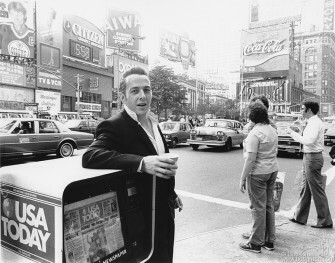 Joe came to visit New York and we took some photos around Times Square in 1985. 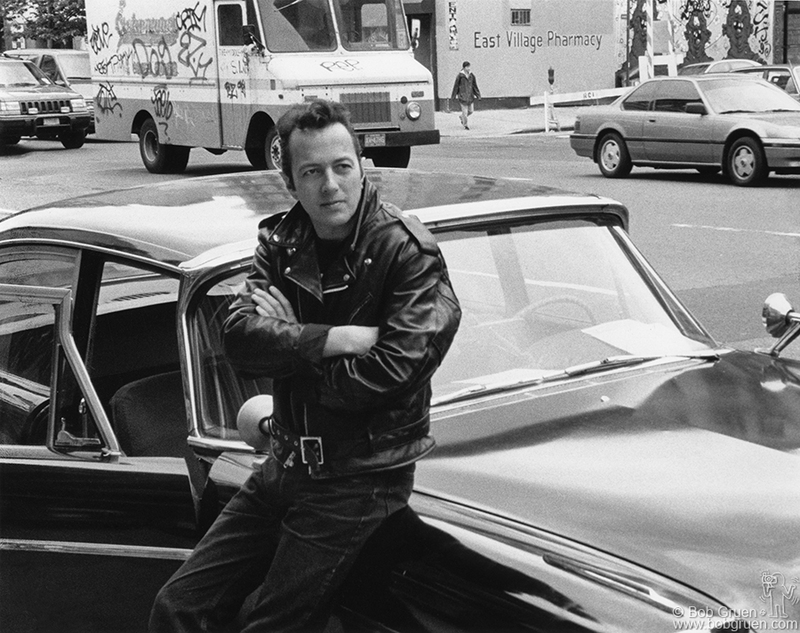 Joe during the filming of a video on Delancy Street in New York in 1986. 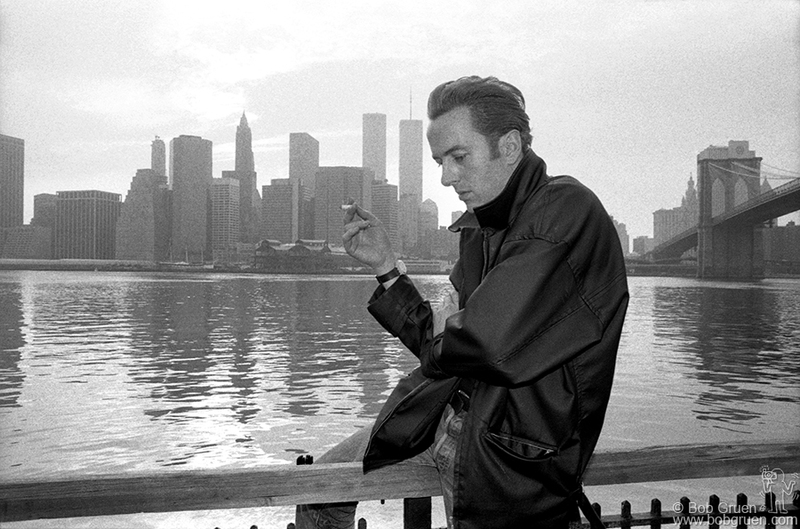 Joe in a pensive mood on the Brooklyn waterfront in 1985. Joe in Times Square in 1985. 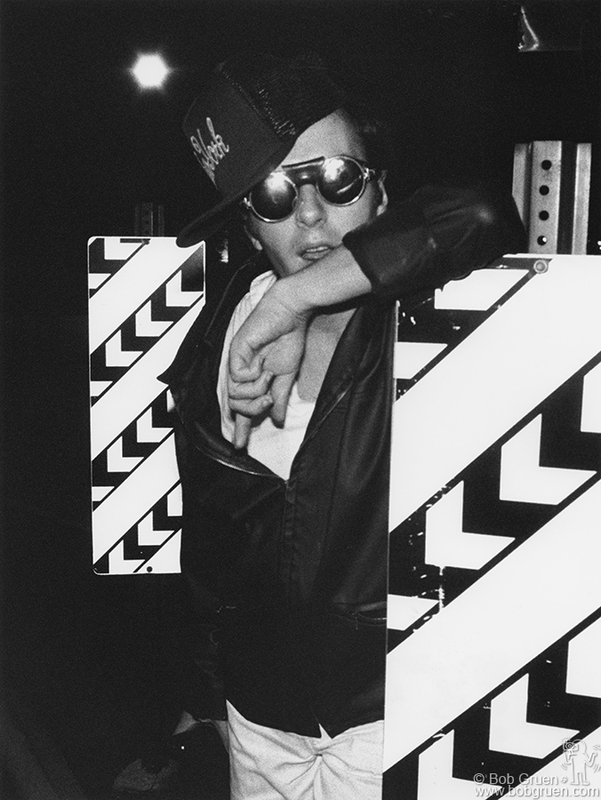 Joe at my studio in New York after filming and recording for the film Walker in 1986. Joe at my studio after shaving the beard he grew during the filming of Walker in 1986. 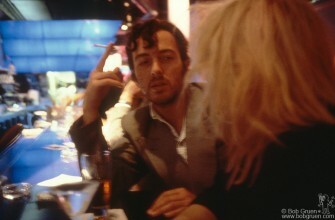 Joe in a bar on Broadway in New York in 1986. 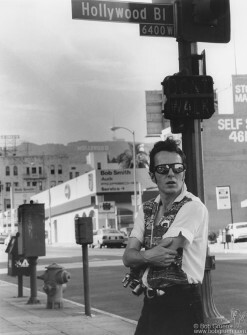 Joe in Hollywood in 1989. Joe on the roof of the Gramarcy Hotel in New York in 1989. Josh Cheuse, Joe & Matt Dillon 1991. 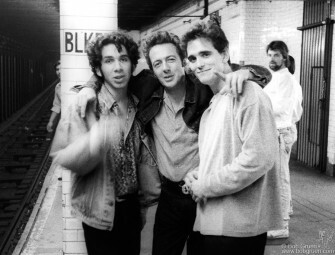 Josh Cheuse, Joe & Matt Dillon at the 14th st. Bleeker Street subway stop in 1991 on the way to see Black 47. 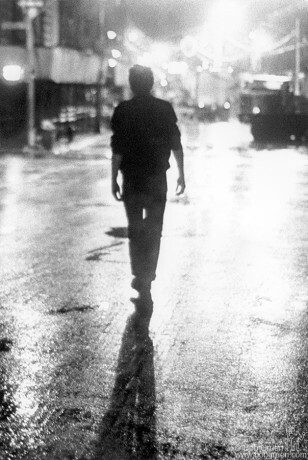 Joe and Lucinda walk like Bob Dylan & Suze Rotolo on Jones Street in Greenwich Village in 1994. Joe and Lucinda in Central Park in New York in 1994. 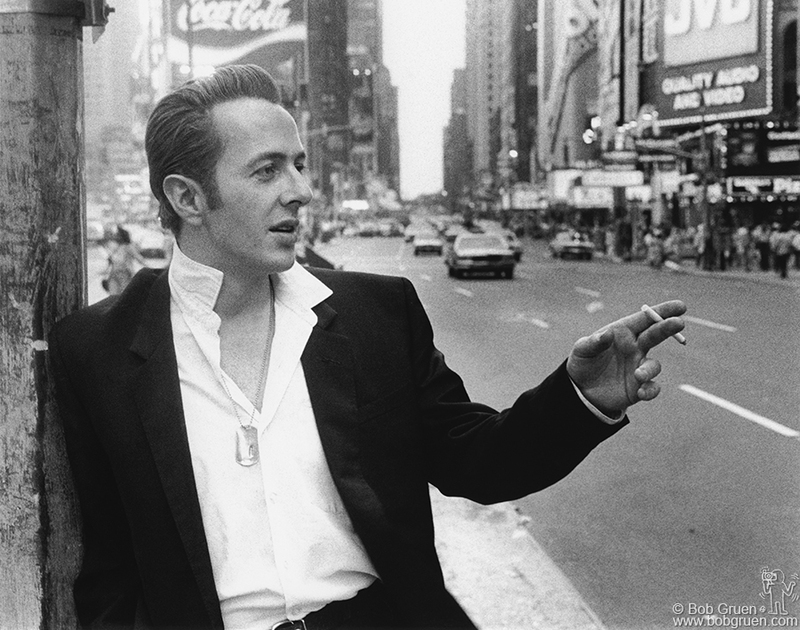 Joe on 2nd Ave in New York in 1994. Joe under the Brooklyn Bridge June 1999. Joe at Mescaleros show at the Astoria Theater in London 1999. 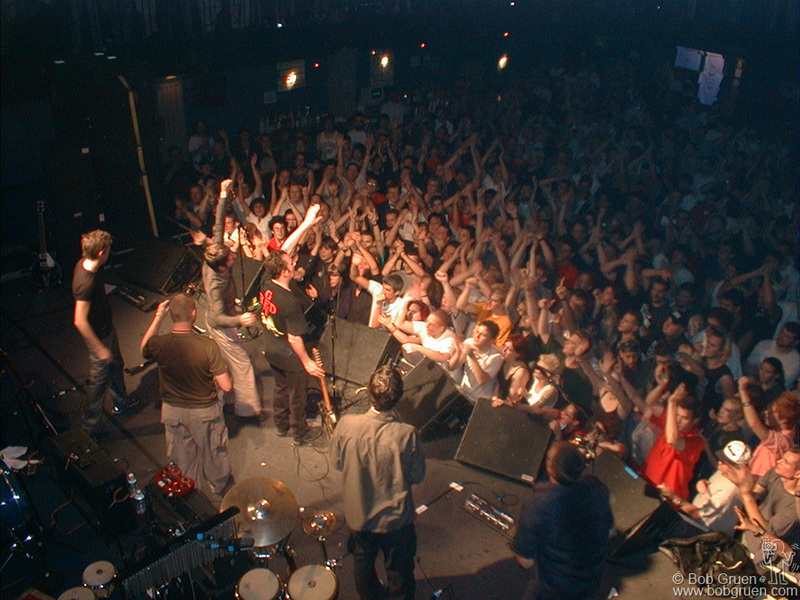 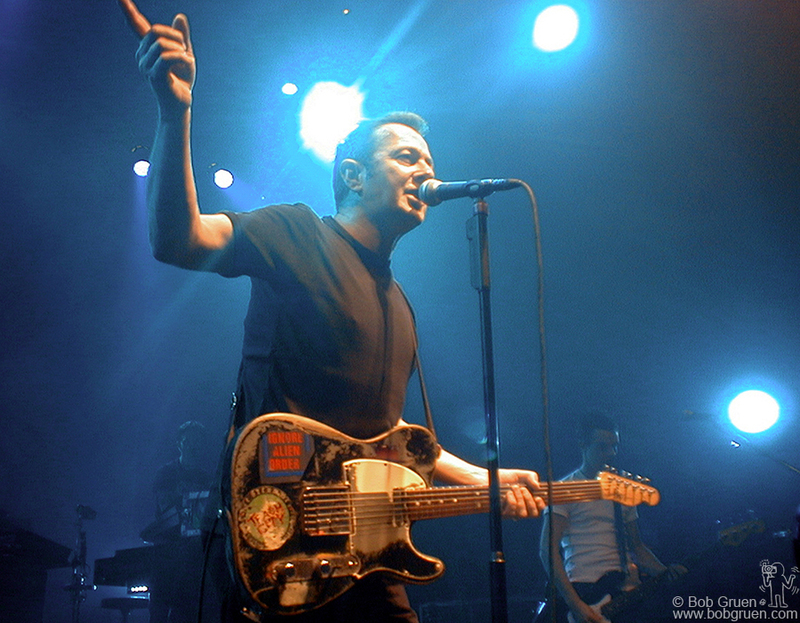 Joe at Mescaleros show at the Astoria Theater in London in 1999. 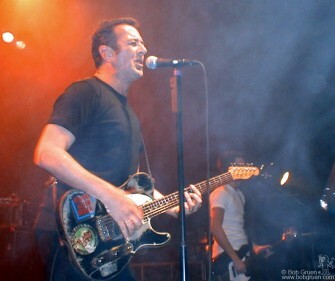 Joe at Mescaleros show at Astoria Theater in London in 1999. 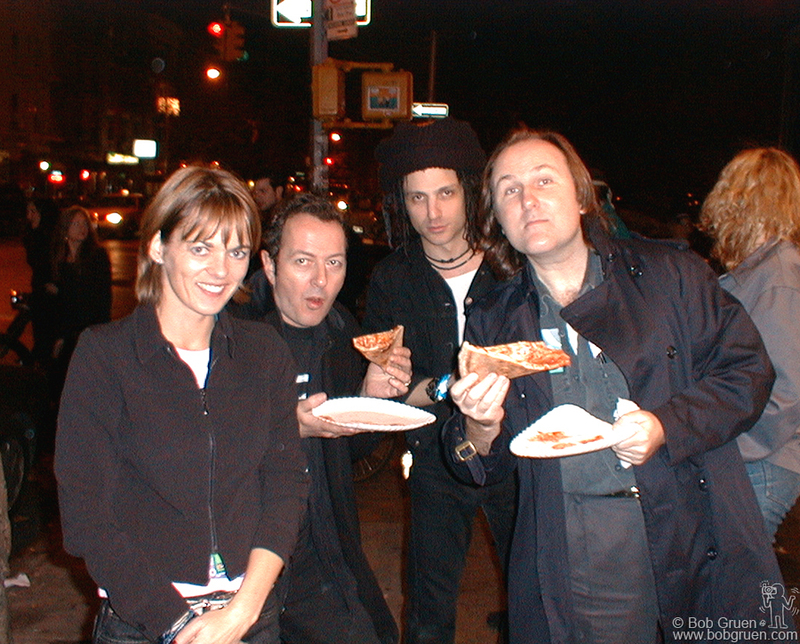 Lucinda and Joe with Jesse Malin and Bill Flanagan in New York in 1999. 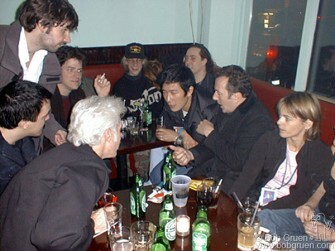 Hanging with Joe at Niagara bar in New York 1999. 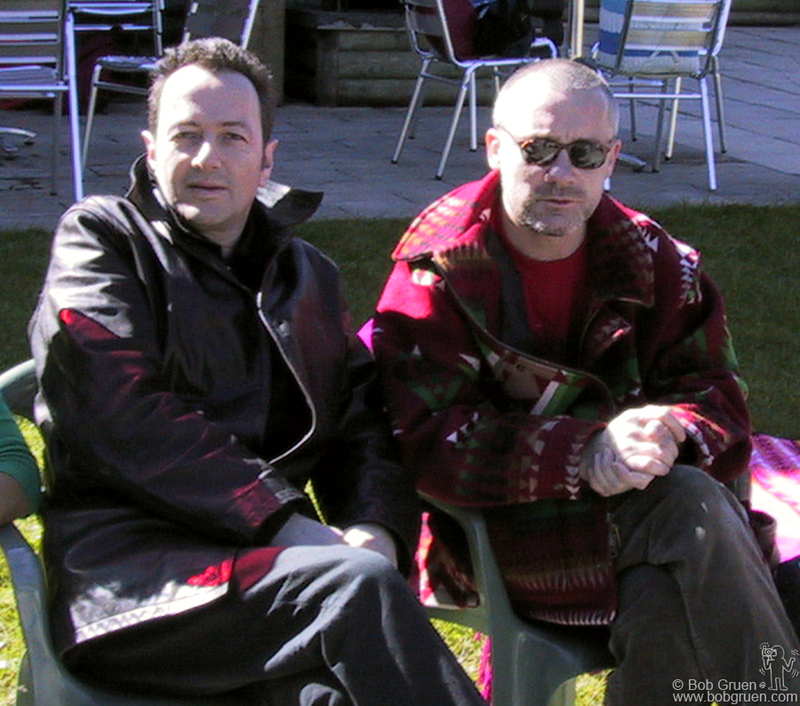 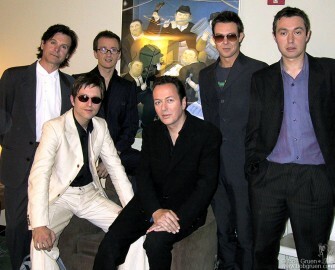 The Mescaleros before instore appearance in New York 2001. 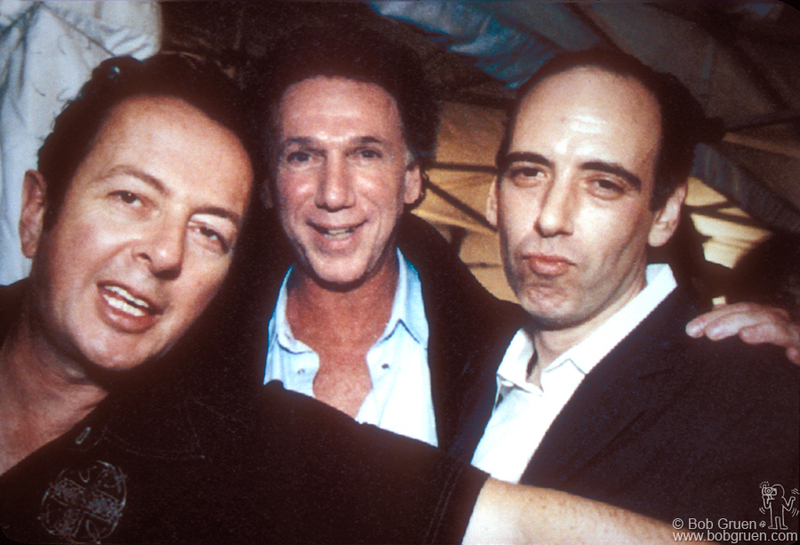 September 2001, Joe and Mick Jones came to the opening party on Camden for my new book and photo exhibition of the Clash. Joe and friends after one of the shows in Brooklyn in April 2002. 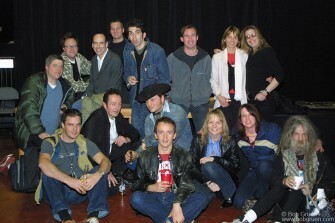 Joe played with his group the Mescaleros in his last years, and was more interested in the new album he was working on this month than the talk of a possible Clash reunion at the Rock & Roll Hall of Fame Induction Dinner. 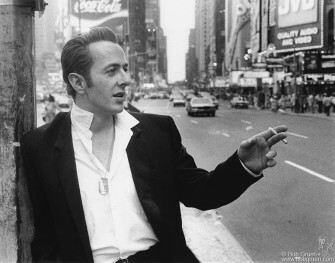 Joe was in New York in early November, 2002, where he’d come to tape a segment for VH1. 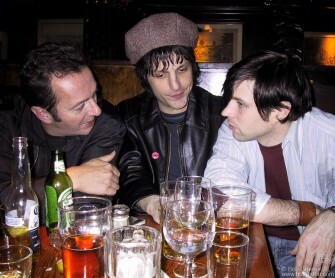 One night I introduced him to Ryan Adams, and we had a drink with Ryan and Jesse Malin at the Cedar Bar. The last time I saw Joe we went to eat at Clay, a great restaurant run by Edward Lee who cooks very tasty Asian delights and serves something called a ‘Lychee Martini’. 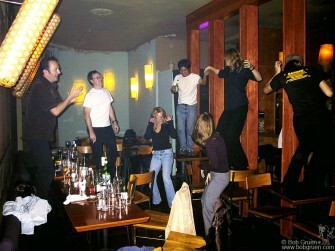 After a few of them Joe led a dance on the tables, above, with Chris LaSalle of Hellcat records, Linda Rowe, Edward, Jennifer Senger, my wife Elizabeth and Amy Wilder. 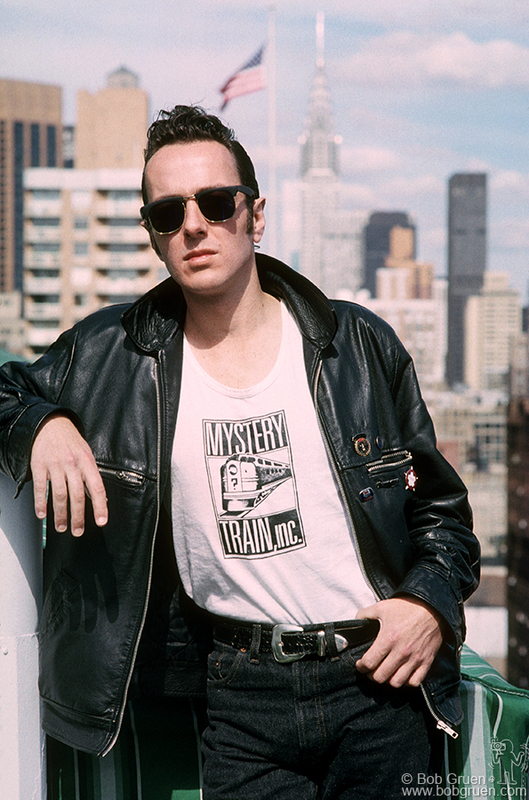 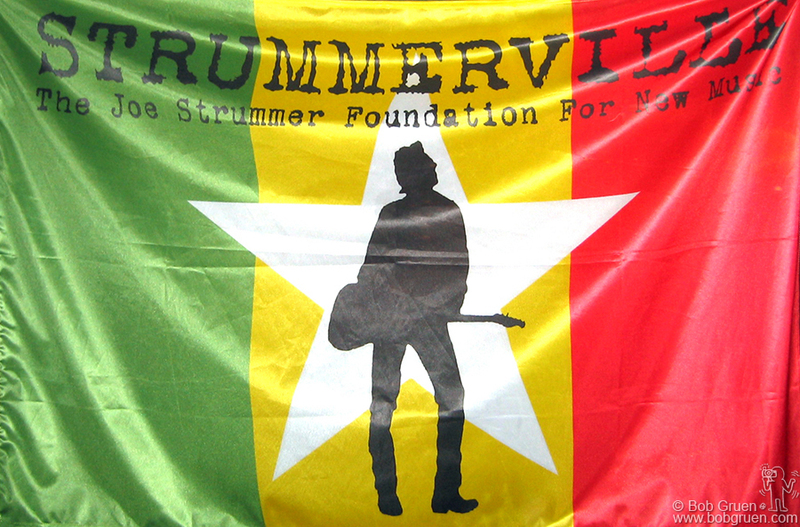 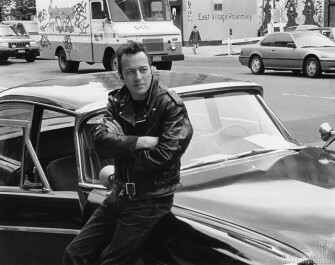 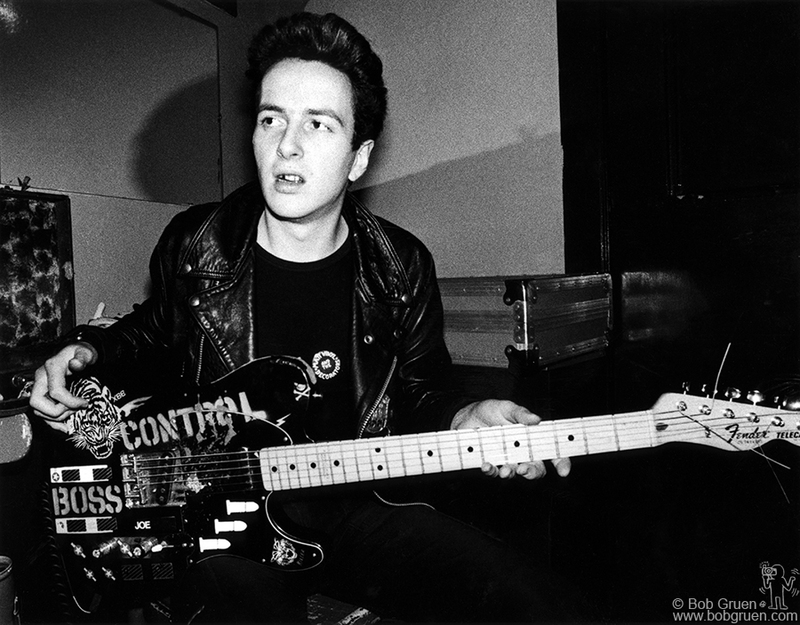 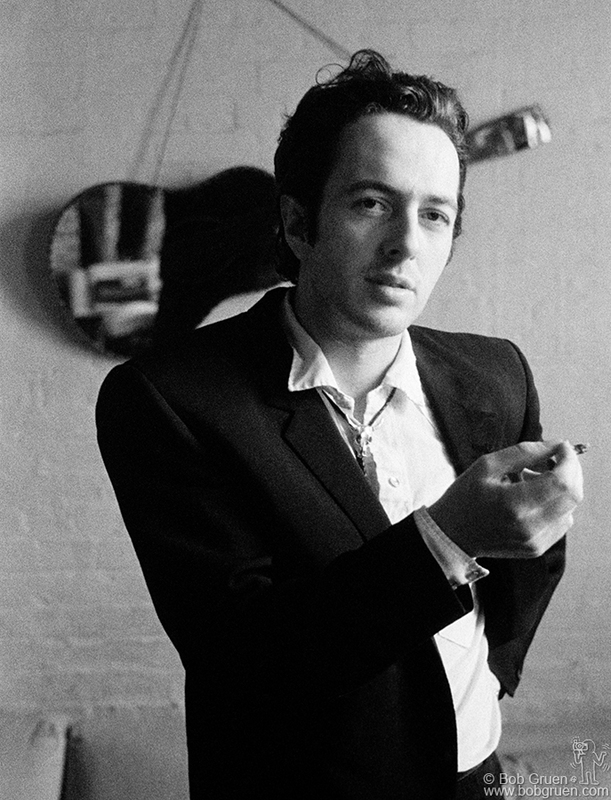 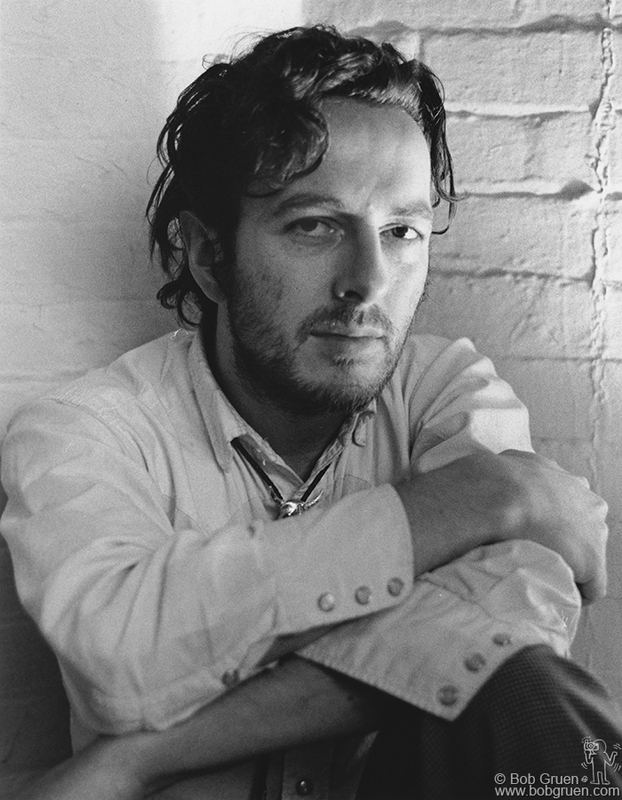 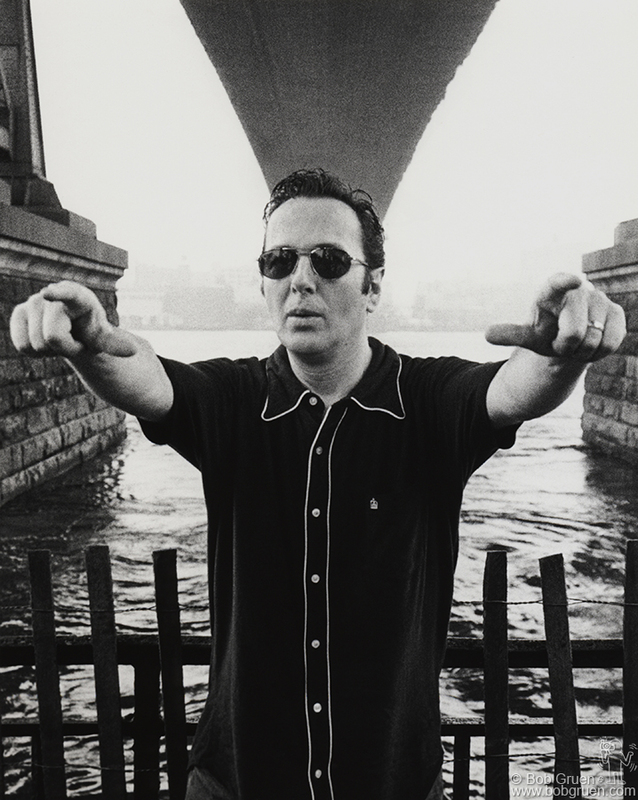 Joe Strummer NYC 1978 – Joe left a long shadow for us all to follow.